New York Pit Bull Rescue View other Pit Bulls for adoption. Lucky is a 1 year old male Pit Bull mix who came to the shelter as a stray. Lucky is not good with cats and is good with some dogs. 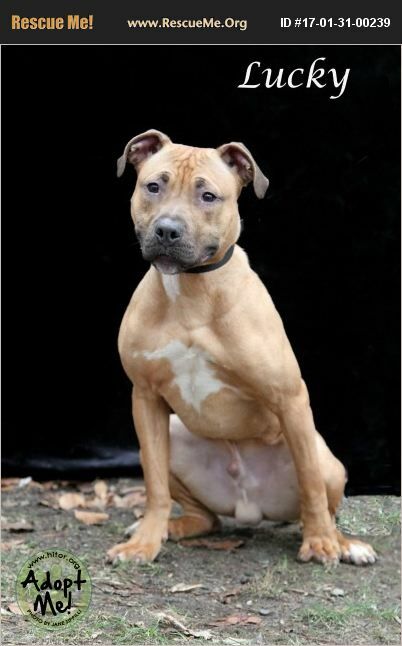 Lucky is still a young boy who is very active and will need continued training going forward. The fact that he is still very active ,we feel he would do best in a home with older kids who can handle his energy. He still acts like a puppy and is a very friendly and sweet boy.